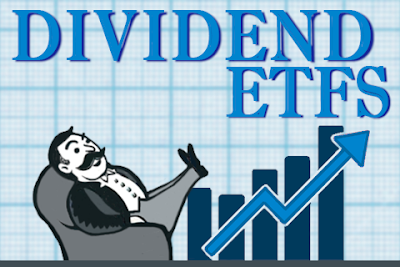 The Internet hosts dozens of dividend growth investment blogs. You can easily find them using your favorite search engine. Another way to find them is to find one, like the very popular Dividend Mantra, and follow links from that site's blogroll. DivGro similarly hosts a small blogroll, which you can find just below my Blog Archive to the right. Many of these blogs make their portfolio of holdings public. You can learn a lot by studying the portfolios and by reading posts announcing new buys (or sells). With a little work, it is possible to get an interesting, composite view of dividend growth investing from these portfolios. In this post, I'm sharing what I've learned from 20 different portfolios, listed at the bottom of this post. Below is a table of the most popular dividend growth stocks, based on the holdings of the aforementioned 20 portfolios. The most popular stock is MCD, which appears in 17 of the 20 portfolios. CVX, JNJ, and KO follow with 16 appearances each. I've arbitrarily made a cutoff at 7 appearances, which produces a portfolio of 31 holdings. However, see my follow-up post, in which I present stocks with 2 to 6 appearances each. Highlighted are the 11 tickers of stocks I own in DivGro. Some stocks are not strictly dividend growth stocks. These stocks do not appear in Dave Fish's CCC list as stocks with 5 or more consecutive years of dividend increases. The 20 portfolios have a total of 663 holdings, of which 205 are unique. The average and median portfolio sizes are 33.1 and 32.5, respectively. Dividend growth investing is not a popularity contest, but it is still interesting to see which dividend growth stocks are popular among bloggers willing to share their portfolio holdings publicly. I apologize in advance if your blog/portfolio is not included in the list of 20 – feel free to nominate your blog/portfolio in a comment below, in case I do a similar analysis in future. How many of the top 31 stocks do you own? Any surprises? I like this exercise to see who/how many of us hold similar companies. Considering the quality and history of the companies that are in 10 or more portfolios, it's not surprising to see them continually pop up. I own a piece of all but DLR and LMT. I'd be curious to see the rest of the list as well, so maybe a second post showing the less common companies? I'll think about a follow-up post, perhaps listing companies with at least 3 appearances (but fewer than 7). A quick count shows there are 42 such cases. As mentioned, the entire list contains 205 companies, which is unwieldy to present. What an awesome concept and idea. Can't say I'm too surprised with most of the findings, although I am surprised half of the investors still have positions in INTC considering they seem no longer interested in providing dividend increases (but are still on the CCC list). INTC is on the chopping block for me. Although I'm going with selling call options until it's executed or the company shows me something. It's looking like the shares might be called away this Friday though as the call I have has a $24.50 strike. After hearing about so many DGI's selling their positions in INTC I too am surprised that it is still so high on the list. I'm one of the one's that has not sold yet. I am going to wait one more quarter and see if they raise it. I think a lot of investors have overreacted to the delayed raise because they're used to their other stocks raising their dividend every 4 quarters like clockwork. This isn't the first time INTC has gone 7 quarters without an increase so it wouldn't surprise me at all to see INTC raise their dividend in the next quarter to keep that dividend streak going. Well just have to wait and see. Thanks, writing2reality! Like Captain Dividend, I'm waiting to see what happens with INTC. If they fail to increase their dividend, I'll consider selling my shares. I say "consider", because I don't have a hard rule to sell if a company fails to increase their dividend. Excellent summary of the most popular dividend shares. I own only 8 of the top 31 stocks, that you mentioned. Thanks for stopping by... I think its great that you own 8 stocks on the list! BTW, I looked at your blog and portfolio, but decided to stick with blogs that cover stocks available on North American stock exchanges. This is the greatest dividend post of the year so far from all the dividend bloggers. Very impressive effort and very useful information to gain some perspective on what everyone is doing. Thanks for this. Thanks for your kind words and encouragement! I'm glad you find the post useful. I'm thinking about doing a follow-up, as suggested by Passive IncomePursuit above. I'm guessing the "less popular" stocks may be of interest, too... Perhaps there is a nugget or two to be found. Wow! What an amazing post. Thanks so much for putting this together. And I really appreciate the shout-out. It's not surprising to see a lot of overlap because there are probably only 60-70 companies that really run most of the world, and as such have amassed huge dividend growth streaks. Very awesome stuff! There's not many companies on that list I don't own a piece of yet, but GIS is one that I definitely hope to own sooner rather than later. Thanks for your kind words, which are much appreciated! You're blog (and story) has been a great inspiration for me over the past 18 months, so I'm happy to give you the shout-out. I'm working on a follow-up post, as suggested by Passive Income Pursuit, in which I'll be revealing a second tier of popular stocks. While working on collecting the accompanying data, I'm getting a sense that many more of the stocks are not strictly dividend growers (at least as defined by Dave Fish's in his CCC list). Great idea for a post DivGro. Really good job compiling all the data. I'm finding a few companies that quite a few own that make me think maybe I need to look further into. Very good compilation and I'll be bookmarking this page for future reference. Thanks Dan Mac -- I'm glad you find the post useful. My motivation in writing this post was to identify dividend growth stocks I don't own yet, for further analysis. In the process, I discovered some blogs that I haven't seen before, which is a nice side benefit. Outstanding piece of work. I actually own all but 2, plus a lot of others as I include more MLPs, RIETs, ETFs and CEFs. Keep it up, I really appreciate it. Thanks, Marcus! If you own all but 2, that's a great portfolio! I don't own ETFs or CEFs in my DivGro portfolio, as it is focussed exclusively on dividend growth. I do own a few ETFs and CEFs in an income portfolio. Thanks for including me in the list. Very nice and thorough work! You're welcome, Marvin, and thanks for making your portfolio public so I could include it in the list! Possibly interesting to know on the holding weightage (%) of say, MCD, CVX, JNJ, and KO from total portfolio in each of these popular blogs. Hi Money Honey -- thanks for stopping by. Unfortunately, that information would be impossible to obtain for all 20 of the portfolios. The reason is, some portfolios only list the ticker symbols of holdings and not the detail such as number of shares or percentage holdings. Atuil Babu -- I'll happily answer your comments if it actually is related to dividend growth investing. Please don't spam comments to this blog with links to your technical analysis system.